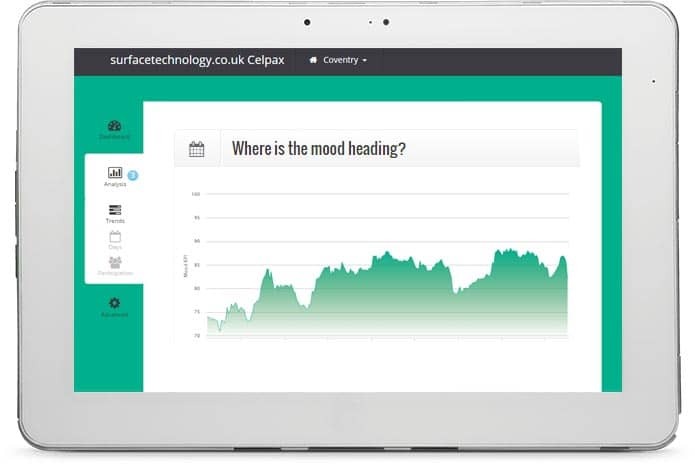 “Let employees bring forward suggestions on how to improve employee morale"
In our last post Rob Hurrell from Surface Technology explained how they’re transforming their metal finishing company into a fun and learning environment. “It’s a bit frilly; you wouldn’t expect something like this from a business like ours. We sit at the bottom of the supply chain, handling heavy, dirty lumps of metals. You would more think this would go into a smart office with design engineers. It could easily raise the questions “why are we doing this? What’s the catch?”, says the Operations Director. “This wasn’t our case though”, Rob continues. “Some might think He’s trying to find out who’s pressing red so we can get rid of that guy. Or identify troublemakers… We got through that fairly smoothly”, says the former England rugby dream team member. 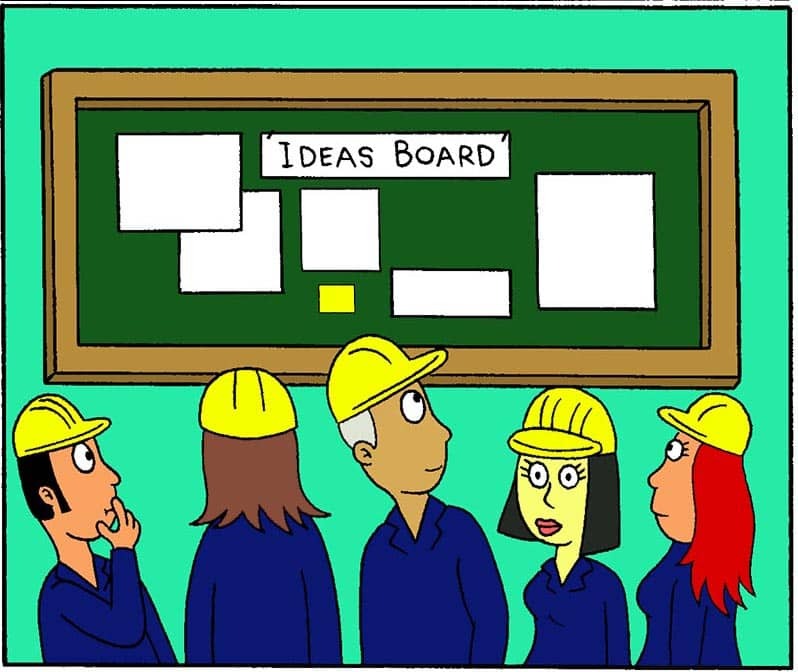 “When/if five fellow employees tag a proposal to support it, they can present it to the management team, who will then investigate the feasibility and report back with an explained go or no go. Our open culture allows sensitive feedback via one to one but this board promotes great participation in a brainstorming forum”, he explains and points to the board. “Some said they only press when they have a red day. They didn’t realize they had to press green every day if they had a green day. It’s reasonably well used now. However, we still see more usage when they have a bad day”, he continues. “If you establish a baseline of how your employees are feeling, you can see how it flexes. You get a genuine and realistic impression. In the day to day everyone is really involved in the business. We have a great atmosphere. Our team keeps a connection well past the work door”, says Rob. 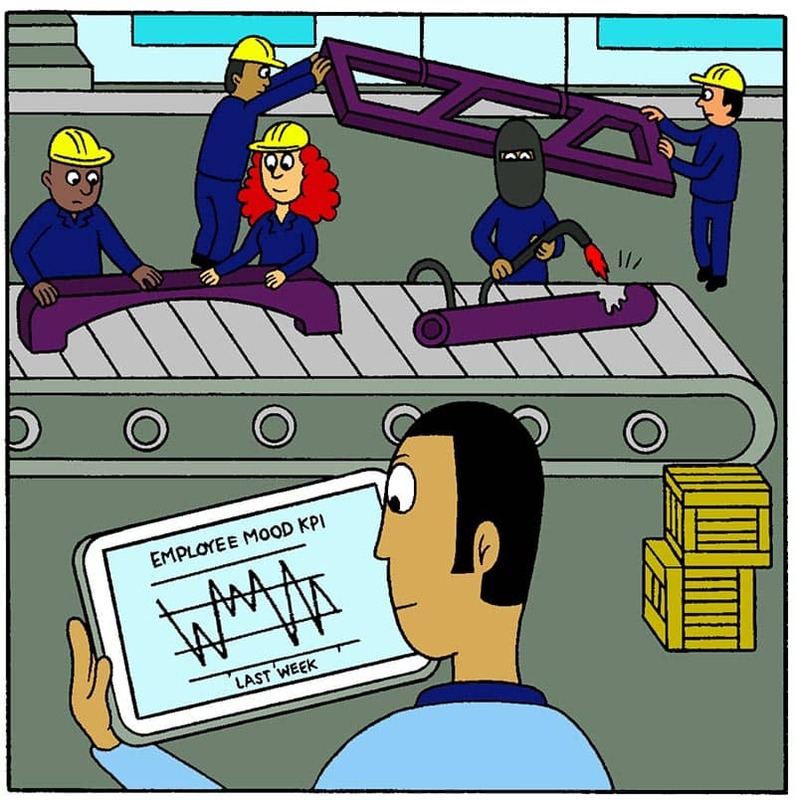 “There’s a strong trend between our productivity and employee mood. It hasn’t been a straightforward year. When the production line is empty it drags the employee morale down. That’s when we should really give additional training or do social things to take away attention from the fact that we are quiet”. Rob describes himself as very hands-on in the business. But only hands on because he remains involved and close to his team, not by taking over others roles. He sees a huge difference. “The mood button told us something was wrong that wasn’t clear to see. Our people were concerned and feeling the pain. It’s a question of not letting rumours start flowing. We just explained why this happened and said listen, don’t panic, this is the new project coming in, which as you can see is a new product that actually fits better… So fairly quickly after the mood picked up again”, he says with a smile. 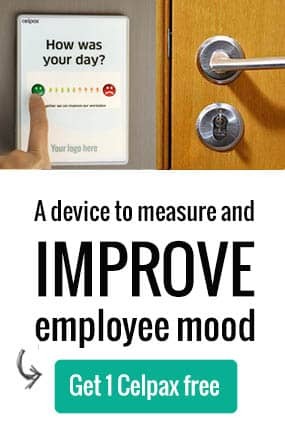 “The Mood KPI gets more useful as time goes on. I like the way it’s evolving, seven months in we get a good amount of data now and it’s getting more defined. It’s not going stale, it’s improving” Rob clarifies. 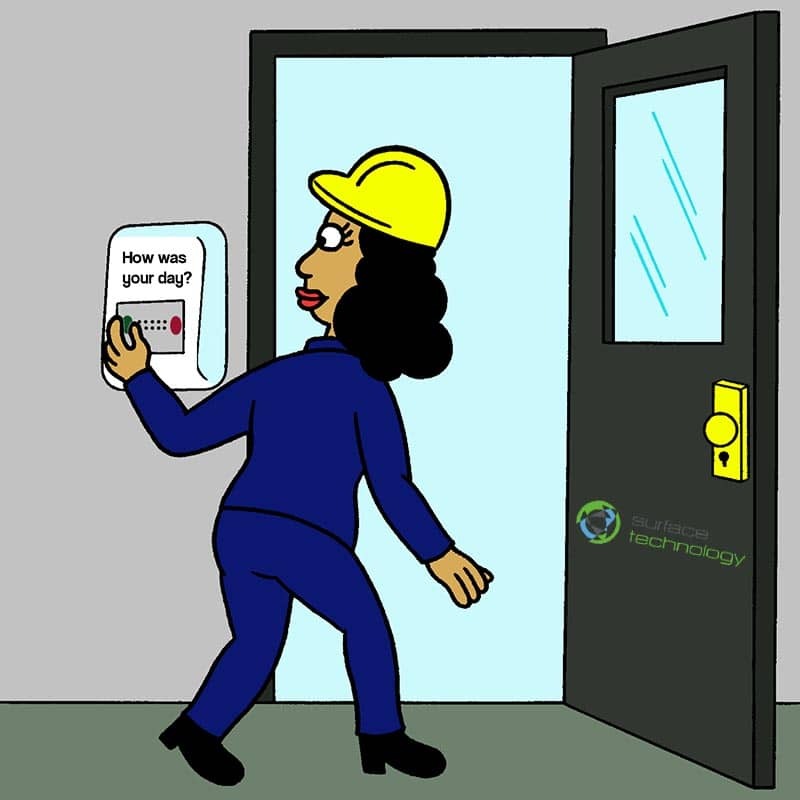 “We see the improvement in our green Employee Mood KPI. People understand this is a genuine direction for the business. We want you to develop as people, and come in, and leave, happy. This is a very simple and incredibly useful tool that helps us do that. But we need to show employees that something positive comes out of this”, he emphasises. “There’s still a lot to be done but in the last 18 months, we got over the most difficult hurdles to get people to understand the environment we want to create. It was so unnatural to so many people. They felt uncomfortable”. “It works incredibly well. Our success at the moment at Surface Technology is down to our people coming first”. Hej, I’m Rebecca! A workplace analytics enthusiast, co-owner at Celpax, and convinced that a great workplace is everyone’s job. I might appear in our chat, or say aloha on twitter?